One of my absolute favorite memories from childhood is each fall when we would visit the farm with our class. We would each get to pick out a pumpkin to bring home. The best part though, was the farm had a really big apple cider pressing machine. We got to watch the machine work, then drink a cup of fresh apple cider and bring home a small container of cider along with our pumpkin. I think those experiences shaped my absolute love for apple cider. I find apple cider to be the PERFECT fall beverage. You can drink it cold, but even better, you can drink it warm, and even better than that, you can drink it warm with a shot of rum or brandy. ;-) Spiked warm apple cider is the perfect hot toddy when you are sick in the fall/winter as well. I've put together a roundup of apple activities for the kids, and apple cocktails for mom, that I'm looking forward to trying this fall. Mommy University has a great roundup of educational apple activities for kids. You can try out this apple volcano science experiment. This apple activity for toddlers is great for fine motor skills and teaching numbers or letter. 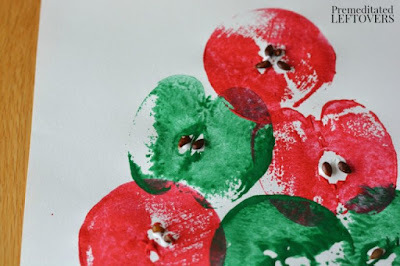 If you can bear to use your apples for non-eating purposes try out this apple stamping craft. Colleen from Souffle Bombay has a recipe for Apple Pie Moonshine. 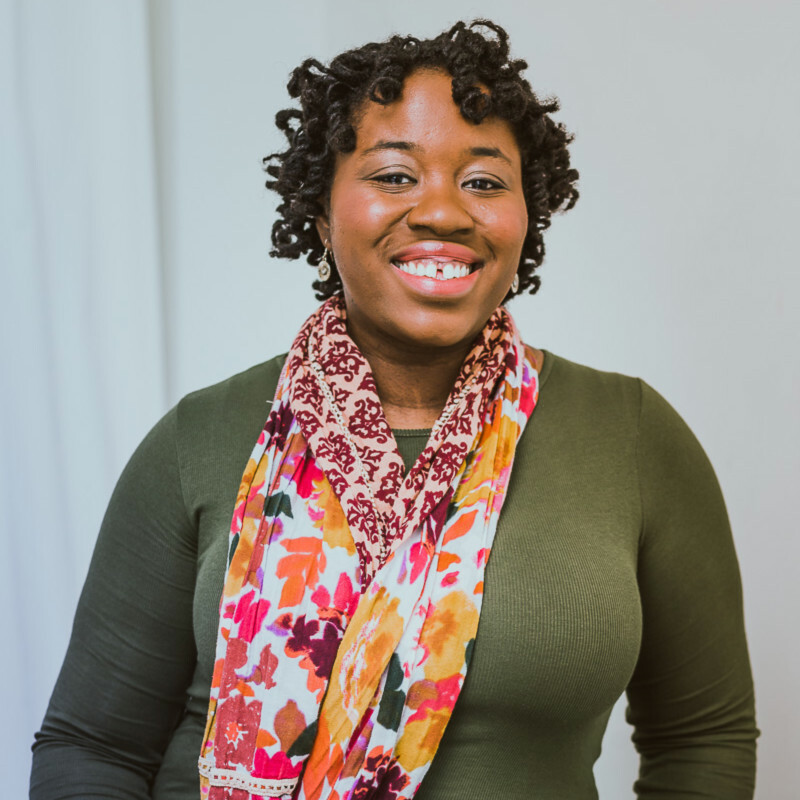 Jo-Lynne shares an Apple Cider Mojito recipe. How about this recipe for a caramel apple sangria?! Wine in Mom has a recipe for Double Bourbon Apple Pie Ale. 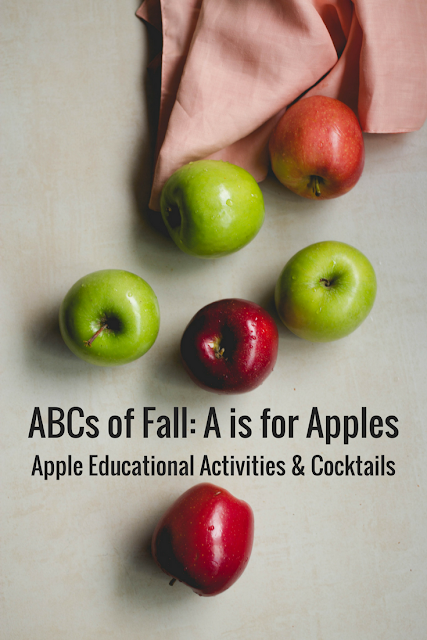 What apple themed recipes, activities, or crafts are you looking forward to this fall? @ Sam Peeps - OMG! How have I never thought to put caramel in?! I LOVE apples and caramel! Yum! Besides coffee, hot apple drinks are my favorite in the fall too. I'm loving Caribou Coffee's hot apple blast right now...Sweet! @MerelyMarie - ooh, that sounds good! I have to see if they have it in a K-cup version for the Keurig! I love apple cider SO much. There's a local farm called Szalay's that I visit every fall to buy a bunch. It's one of my favorite places & one of my favorite fall activities! I think "Fall" and I think Apples! What a great post to kick off the best season of the year! I'm definitely looking into that Apple Pie Moonshine - that looks like Thanksgiving in a glass! 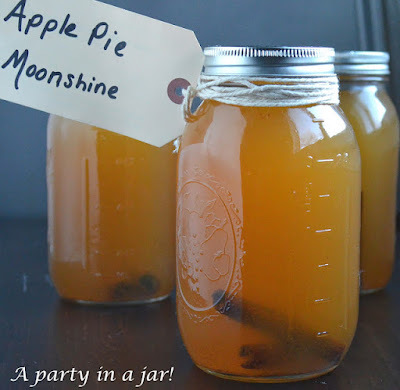 Apple pie moonshine sounds amazing!! I love fresh apples a lot but not a lot of other apple-made products. I only recently learnt more about apple cider vinegar too that I even tried making one at home. I discussed the process on my blog. Thanks for stopping by my blog. FUn post, really liked reading it. Love apples, cider, caramel, you name it!! !